As an immersive sim, Dishonored: Death of the Outsider has a decent selection of abilities you can combine with the environment in order to murder or knock out your enemies. You can get really creative with it. Still undecided on Dishonored: Death of the Outsider? Check out our review. 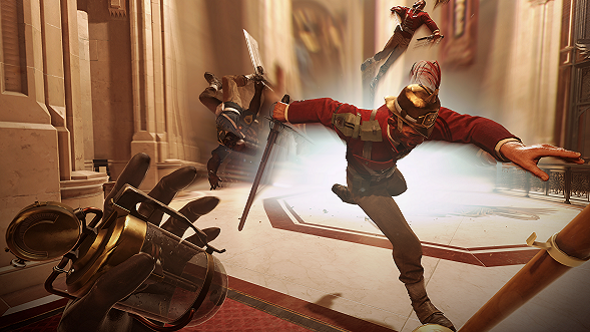 Dishonored and Dishonored 2 made waves on PC for enabling the player to do this brilliantly in the glorious dieselpunk worlds of Dunwall and Karnaca. Set a couple of months after the ending of Dishonored 2, Death of the Outsider will put your skills to the test as you head out to kill the source of the chaos within the Empire (the Outsider himself, if the title hadn’t made it obvious). Akin to Dishonored 2, in New Game+, you can combine protagonist Billie Lurk’s abilities with Corvo and Emily’s movesets to become a fearsomely well-rounded character. Also, be on the lookout for Bone Charms throughout Karnaca – they’ll impact your abilities with benefits and drawbacks. For instance, one Bone Charm makes you invisible for a few seconds after the Displace power, but shortens its range. Anyway, on to the good stuff. 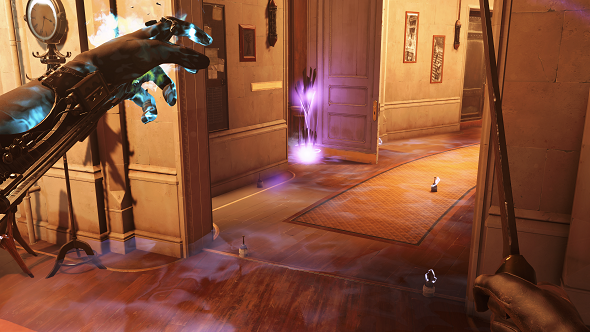 Here are the powers you can expect to play around with in Dishonored: Death of the Outsider. Displace: Like Corvo’s Blink and Emily’s Far Reach, Displace is Billie’s mobility power. Unlike Corvo and Emily, Billie’s power is based on placing markers in the world that no one else can see, then swapping positions with the marker. Void Strike: This powerful charged-up attack will push your foes away from you, giving you more space to maneuver – or allowing you to assassinate an enemy if you take them by surprise. Semblance: Steal someone’s identity, and use it to trick your enemies. 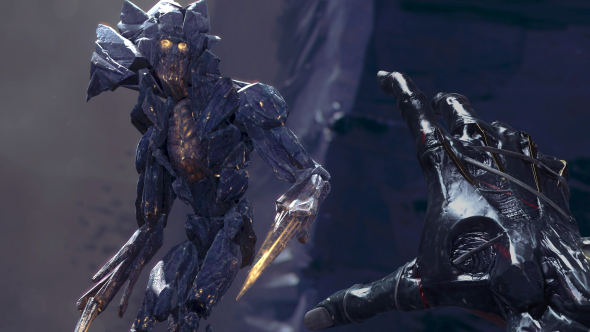 Unlike Corvo’s Possession power, Semblance allows for a fuller range of actions, including anything from tricking an ally into unlocking a door to engaging in actual combat with another enemy. Foresight: Whether you’re playing as a bloodthirsty assassin or a merciful agent of justice, you’ll want to get the lay of the land in Death of the Outsider’s intricately designed levels. Foresight allows Billie to pause time, leave her body, and see what lies ahead. Voltaic Gun: Strapped to Billie’s wrist, this electrified projectile launcher can be upgraded to make it more powerful and versatile with a range of lethal and non-lethal ammunition types. Hyperbaric Grenade: Toss this at your enemies for a non-lethal blast of compacted air. Rat Whispers: Using a special talisman from the love of her life Deirdre, Billie can learn more about her world – and gather some useful clues – via the whisperings of the rats that roam the streets of Karnaca. Hook Mine: Place this on a wall or floor or ceiling, and it’ll draw an enemy to it. The Hook Mine can be used non-lethally to subdue a person or hide an unconscious body. That’s all we have on the powers, gadgets, and gear you’ll have at your disposal in Dishonored: Death of the Outsider? Let us know what you think of the game in the comments.